The name ‘Code’ represents the Ozone team coming together to take on the challenge of designing, developing and manufacturing boards that match the performance and quality of our Kites. 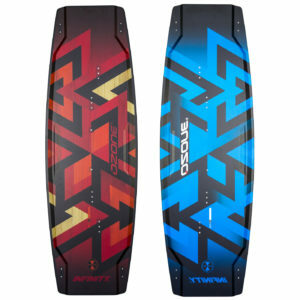 We’ve worked with the same intense level of R&D that goes into our kites to bring the Code to life. Our new in-house production process uses the latest technologies to ensure every aspect of production is carried out perfectly to bring you a perfect no compromise board. 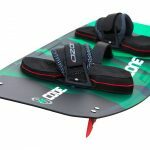 No board is finished without the correct binding system; the Code’s footpads and straps are beyond comfortable and have been designed to endure the rigors of hard riding. 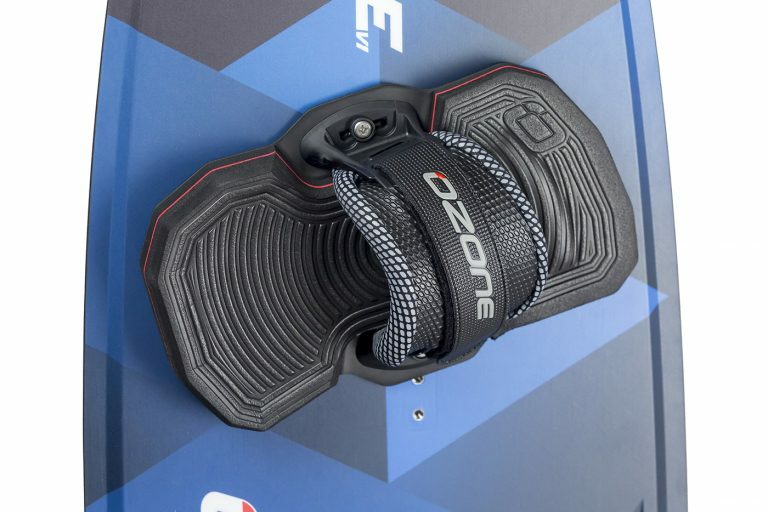 The footpads incorporate layers of ultra durable dual density EVA foam including a memory foam layer, with precise contouring and textures to keep your feet comfortably “locked in”. 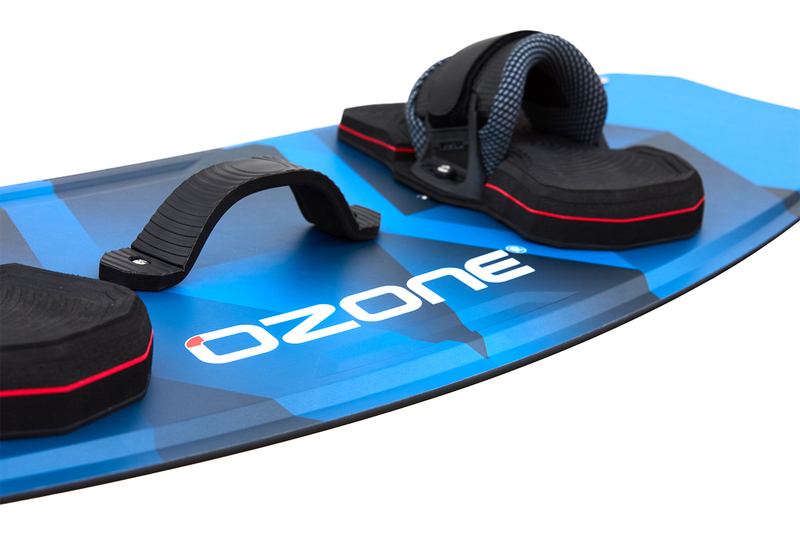 The pads are extremely lightweight but offer great shock absorption on hard or fast landings. 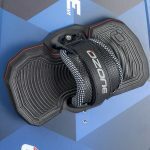 The straps have been ergonomically designed to give maximum comfort, the combination of soft memory foam and plush neoprene give the rider ultimate cushioning and a snug fit. 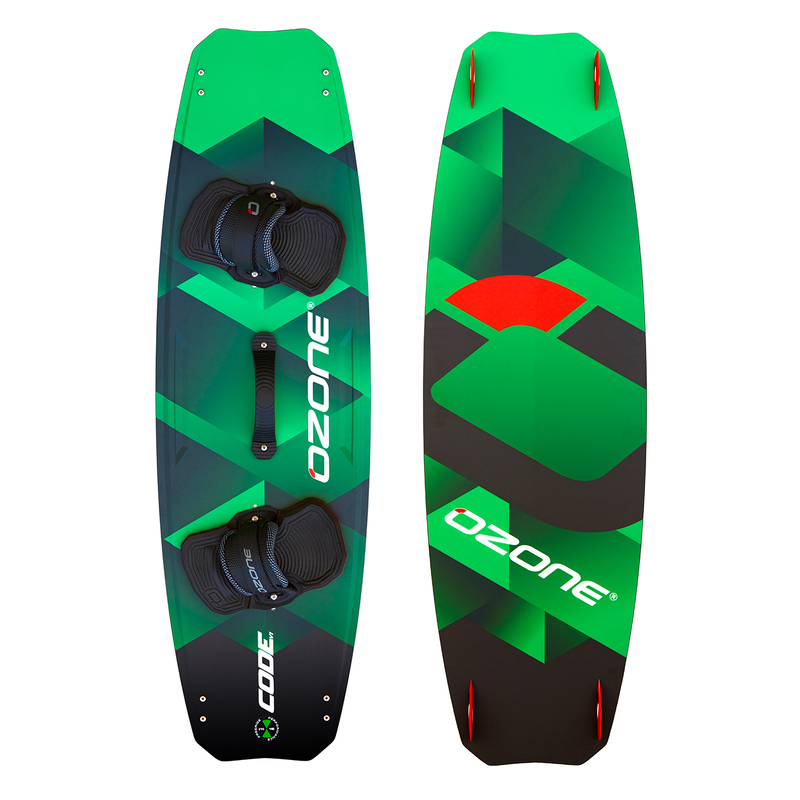 We have kept to a lightweight single strap system that attaches to the board with minimal effort yet offers a huge range of adjustment to suit a variety of riders. 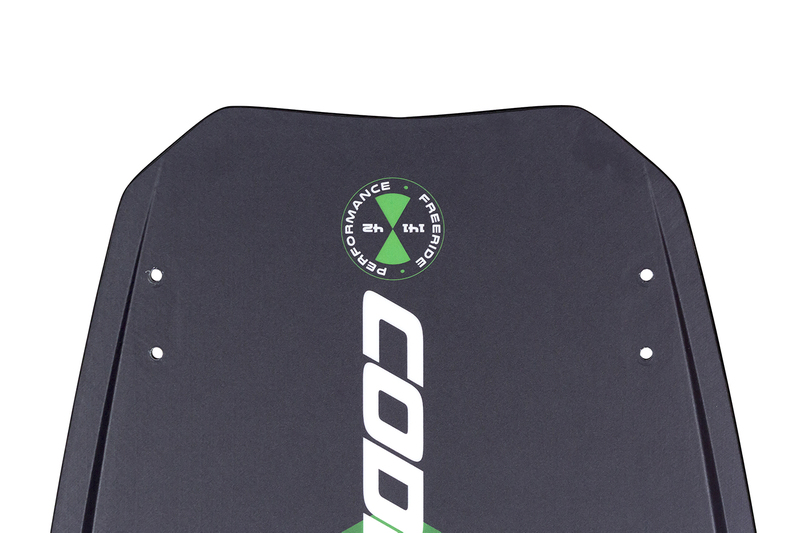 The base plate has multiple cutouts that allows for a customized stance width and angle adjustments. 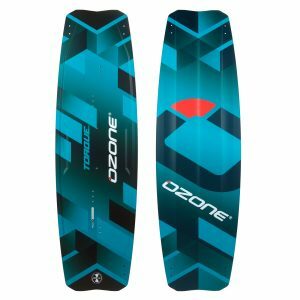 Exceptional Ozone Factory Construction – World-class construction in our own factory, using the highest quality materials and hand checked Quality Control at every step. The Ozone factory also manufactures our Kites, Paragliders and Speed Wings; the same Quality Control processes are used across all products. Freeride Outline – The Freeride rounded-style outline provides excellent carving performance from a small to wide carving radius, plus solid high wind control and edge retention for boosting even when overpowered. Swallow Tips – Swallow shaped tips allow a strong edge hold without the feeling of being locked on a rail, while increasing stability and control when carving. 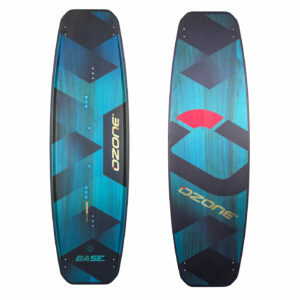 This gives a strong edge hold and positive feel when carving or loading and releasing off the water during a jump. Highest Quality Fibreglass – Precise lamination using high quality Biaxial and UD fiberglass layers to provide the ultimate balance of flex, response and strength. Grab Recess – Grab Recesses on both rails if riding without a handle. 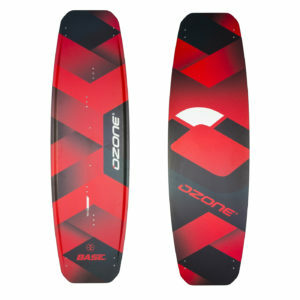 G10 Fins – CNC cut from solid G10 material. Double Concave Bottom Shape – The Double Concave Bottom Shape transitioning to flat towards the tips provides a smooth ride in choppy conditions and powerful carving performance with good grip. 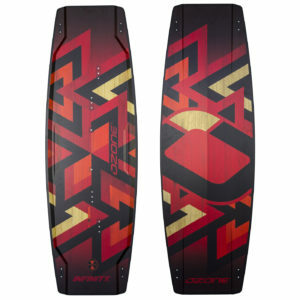 It also helps to absorb and control fast landings, making engaged big air and kiteloops forgiving on touch down. 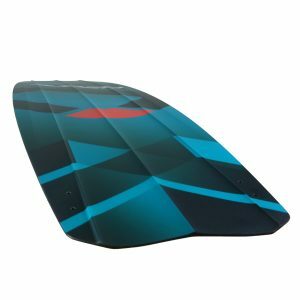 Continuous Medium Rocker with Medium Flex – The continuous medium rocker combined with a medium all-round flex offers a smooth ride with ultimate control in heavy chop, good upwind performance, optimized pop and soft landings. 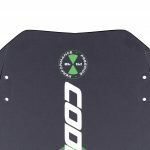 A-Grade Paulownia Core – The premium A-grade Paulownia core provides ultimate flex characteristics, amazing strength, and reduced weight. A-Grade 316 Stainless Steel Inserts – Highest quality 316 Stainless Steel inserts embedded into ABS blocks. This insert construction offers superior strength for powered riding and using boots. 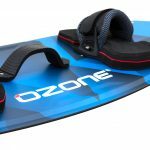 Lightweight Ergonomic Pads and Straps – Easy to assemble in minutes, the lightweight ergonomic design with memory foam adapts to your unique shape after a few sessions. 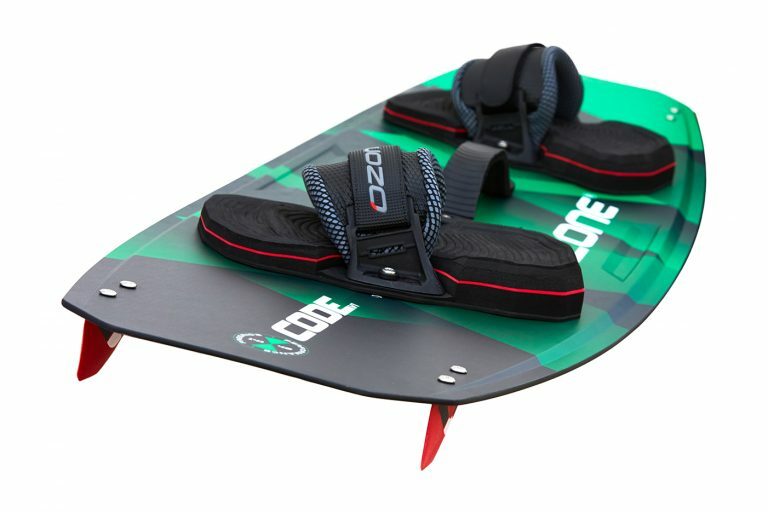 The toe ridge provides solid grip, while dampening foam layers provide superior comfort.